How we ( BOB, MYSELF, AND 4 KIDS) got started - OUR DREAM... we began with two male Suri alpacas in 2011, a father and son. INSTANT LOVE!!! 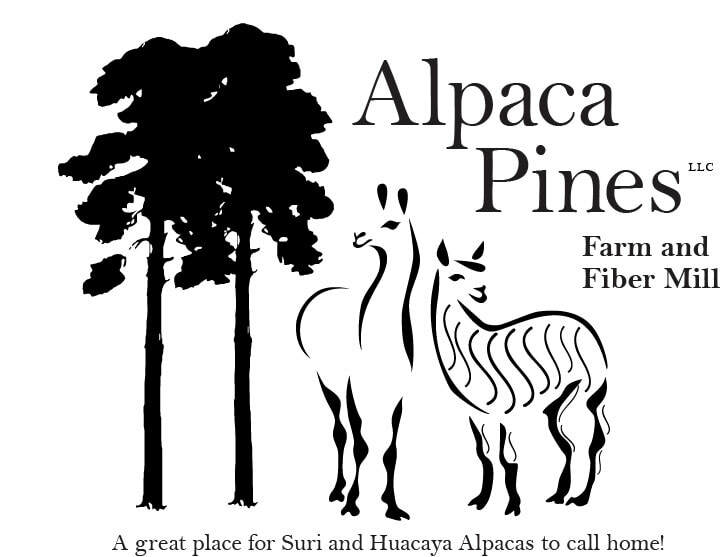 The name Alpaca Pines is from the beautiful pines that line our property in northern Illinois. We soon added 15 Suri Alpacas, and 2 Huacaya. The farm now has a total of 40 alpacas and 1 llama! Our mill is open and we are in full swing! We provide personalized service to all our customers. We are family owned. Stop by and check out our yarn/gift shop. We carry roving, yarn, felted sheets and more processed at our mill. Items in the gift shop are made at the mill or are carefully chosen. We have beautiful items that are fair trade products. Open houses are offered throughout the year and participate in Alpaca Days. Check our site for events. Follow us on Facebook, Twitter and instagram. We are happy to provide group tours, call for pricing and times available.